Helps in the brushing of damp hair. 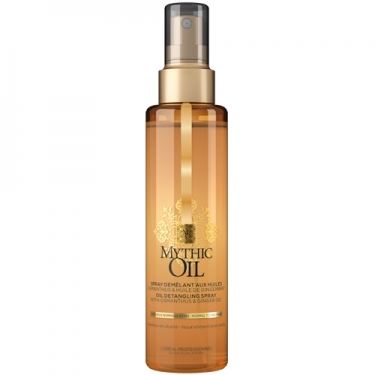 DESCRIPTION: Mythic Oil Detangling Spray from LOréal Professionnel is a cleansing balm oil for normal to fine hair. 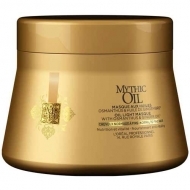 Inspired by the traditional oil application of the ancient queens of Egypt, it is the secret to magnificent, healthy-looking hair. Infused with essential ginger oil, known for its therapeutic virtues thousands of years ago. It imparts tonicity and vitality to fibber. It also contains Osmanthus extract, a sensory flower that is known to care intensely and offer flexibility to the hair fibber. 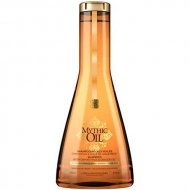 This emulsion oil without rinsing off normal to thin hair and helps in brushing wet hair.